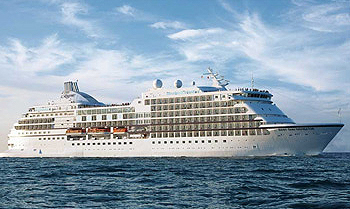 View all Seven Seas Navigator cruises or view more options for Regent Seven Seas cruises. Located on Deck 6 in the Atrium, Destination Services helps guests arrange shore excursions, whether a tour from our FREE Unlimited Shore Excursion menu or a customizable Regent Choice Shore Excursion. The helpful office staff can also assist with tailor-made pre-and post-cruise programs, from a simple stay in a luxurious hotel to a 3-night extension that includes private tours of coveted destinations. For those in the gaming mood, a few hands of blackjack in our elegantly appointed Casino are the perfect draw. The Casino is located on Deck 7, and is open every day at sea when not restricted by territorial border limits. Blackjack, roulette, stud poker, mini-craps and slot machines are offered for our guests’ enjoyment. Located on Deck 11 aft, Galileo’s is the ideal place for cocktails or to simply relax and unwind with an after-dinner drink. Our resident musicians entertain with familiar tunes during teatime as well as before and after dinner, with an opportunity for dancing. Game shows, night entertainment and live musical events are featured regularly. Welcome to the ultimate indulgence: a day at the serene Canyon Ranch SpaClub. Located on Deck 12 forward, guests can choose from an array of experiences such as signature massages and therapeutic bodywork, aromatherapy, ayurvedic and seaweed treatments, as well as facials. Guests may also choose from an extraordinary selection of luxurious beauty treatments, including hair care, manicures, pedicures and more available in the salon. This is the perfect setting to enjoy breakfast, lunch and dinner. Located on Deck 5, Compass Rose delights with a beautifully defined atmosphere and transitions from refreshing natural light during the day to a romantic theme at night. The new dinner menu is so encompassing and customizable that it provides guests with a seemingly endless combination of dishes to choose from such as meat, fish and seafood items, prepared to taste, garnished with a sauce of choice and complemented with side dishes and accompaniments. Additionally, each evening the ship’s Executive Chef creates nightly specials, which adds more than a dozen mouthwatering appetizers, pasta dishes and entree choices to the menu. The ultimate and absolutely indispensable perk of Butler service awaits guests Penthouse Suites and higher. For those who desire an enhanced level of individualized service, our Butler service is a prerequisite. Butlers can assist your arrival on board by unpacking your luggage, arranging pressing for your clothing, and making reservations in Signatures or at the Spa. If making changes in your shore plans, a Butler can arrange for a private car or lunch reservations at your favorite restaurant. Celebrating a special occasion? Have the Butler arrange a private cocktail party with canapes. Our highly-skilled Butlers do it all – quickly, competently and without fuss. All guests entitled to Butler service will receive complimentary pressing of any items that will be worn the first evening on board. These items will be collected by the Butler at the guest’s earliest convenience. The medical center is designed to provide medical care for temporary illnesses and accidents. These facilities are not intended or capable of providing ongoing treatment of pre-existing medical conditions. The ship’s licensed and registered doctor and nurse are on 24-hour call for professional and emergency services, which are available at customary charges.